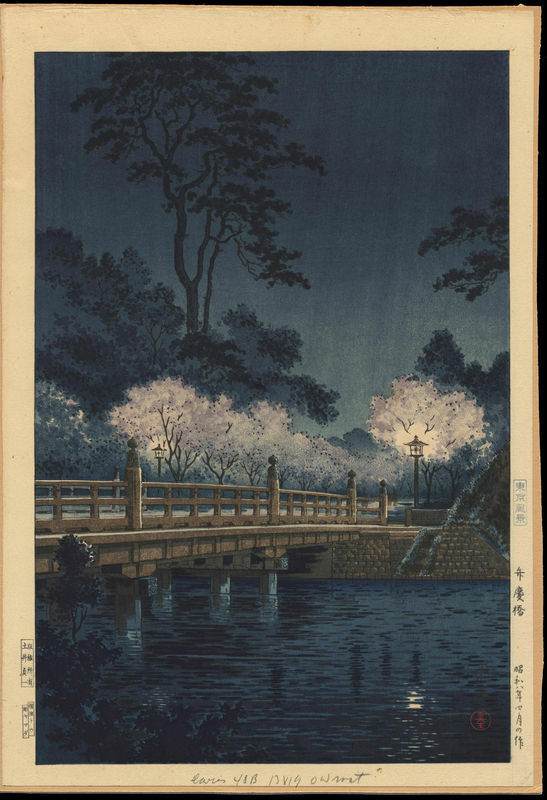 Koitsu, Tsuchiya (1870-1949) [Tsuchiya Koitsu] "Benkei Bridge" - Woodblock - Chinese and Japanese woodblock prints for sale, silkscreen, scrolls, watercolor, lithographs. Artwork Details for Koitsu, Tsuchiya (1870-1949) "Benkei Bridge"
Notes: Koitsu Raisonne code TK-DH-3. This is a first edition strike from the Tokyo Views series (rare). Doi Sadaichi offset seal, with printer Goto and carver Yamada seals in the lower left margin.